With Boris Johnson due to visit later this week, Caribbean people are facing their sternest test to date. Battered and bruised almost beyond recognition yet somehow still the Foreign Secretary, Johnson hopes UK foreign aid money might help restore his reputation to its former glory. A Foreign Office spokesman said financial support would also come from the ministry of defence. 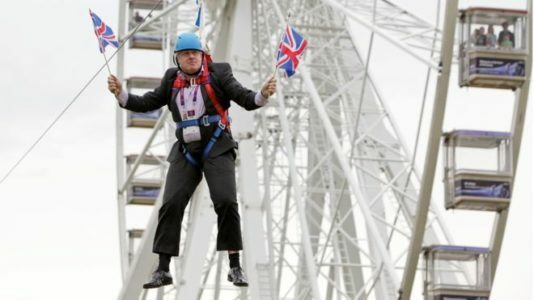 It might run to Mr Johnson “doing a Maggie and wearing some sort of military clothing, perhaps a combat jacket.” but would stop short of elasticated waist military combat trousers.